When on the job site or camping, fishing, and doing other outdoor activities, facilities are not always close by. This often means that when nature calls, you either have to go find a bathroom or do what you need to do in the woods somewhere. There is a better way for you to handle those sudden urges. 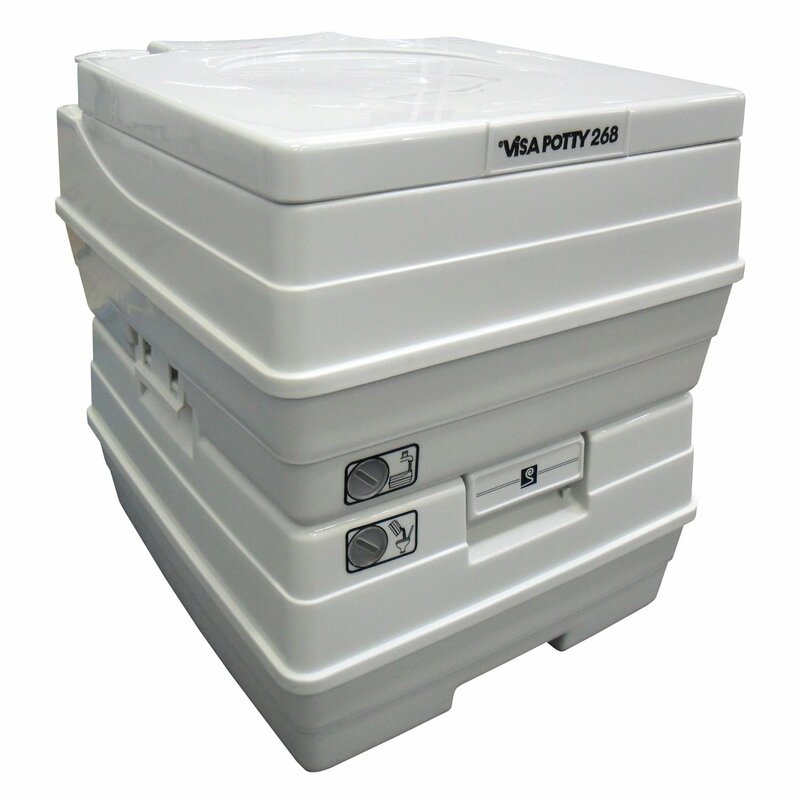 Just take a look at our Sanitation Equipment Visa Potty review to learn more. This potty is portable enough to go with you anywhere that you may need it. You can choose either an 18 liter or 24-liter toilet, so that you can empty it when you are ready, not after every use. You can easily see the tank’s waste level so that you know when it is time to empty it. There is also an easy to read level indicator on the fresh water tank. It is easy to use. It uses a piston pump that is completely replaceable if you begin to notice it not flushing out well enough for you. This piston pump provides it with a two-directional rinse so that all of your waste goes down into the tank so you always have a clean toilet to use. The bowl is extra deep. This ensures your comfort when sitting on it. You do not have to worry about splash coming up and touching you or that parts of your body will touch the inside of the toilet bowl. Along with this, it features a seat that is 20% larger than other portable toilet seats. The lid snaps closed to ensure that it is only open when you need for it to be. This also prevents it from vibrating when you are hauling it around in your truck or RV. Many people worry about having to clean a portable toilet. For that reason, this toilet has an easy to clean, detachable, sprout storage area and a holding tank with a vent. This makes it less prone to odors when in use and when you are ready to empty it, discharging waste will be less smelly and easier than with other tanks. 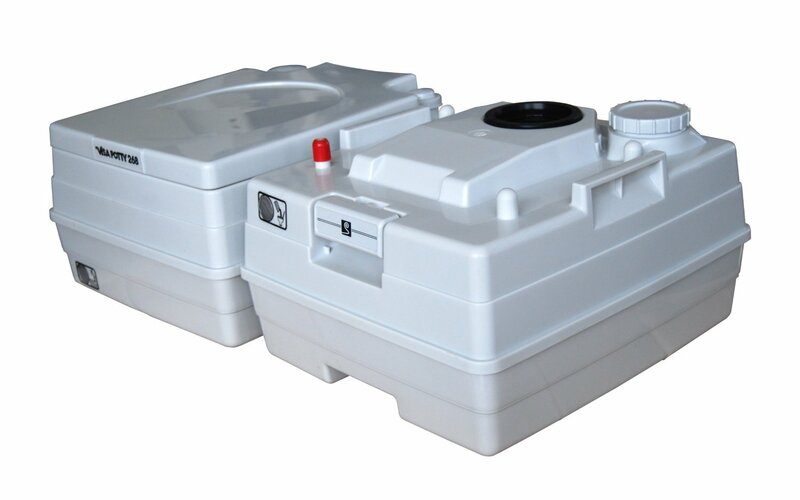 When looking at a portable potty for boating, dimensions matter, because they determine how easy it is to work with and take along with you. This toilet weighs only 11.6 pounds when empty. It measures in at 16.5 x 14.5 x 16.2 inches. This means it is compact enough to carry with you, but large enough to be a comfortable throne for you to use wherever life takes you. Most owners give this portable toilet a 5-star rating. This is why it has an average of 4.6-stars. Many say that it is small enough to fit inside of their tent to give them privacy when answering nature’s call. They like that they can use it without venturing out into the dark or where it is cold. However, they do admit that there are a few issues with the toilet. One is that it does get heavier when you have filled it with waste. It also cannot be used by two people for a full week, if it is the only toilet that they are using. It will have to be emptied before the week is out. At least one reviewer states that you have to make sure that the pullout lever is lubricated. Otherwise, it will not work properly. Is the Visa Potty by Sanitation Equipment Worth It? As you read through owner reviews for the Sanitation Equipment Visa Potty, you will find that a variety of people have found numerous uses for this toilet. In pretty much every situation that they want to use it for, they are glad that they have it. It is an affordable, easy to deal with toilet that goes with you when you are on the run. It may not be perfect for everyone, but it is definitely worth considering by most people. This toilet proves that you could perhaps spend a lot more money and get a lot more out of a porta potty, but you really do not have to. Why not give it a chance to be everything you need for it to be? Ready to Purchase the Visa Potty?